Seems like an interesting service. I only wish they supported osx and linux with their gui. I really don't understand. When building their GUI from the ground-up, did they really decide that there was some technology in windows they couldn't live without? There are so many cross platform options with relatively little hassle in porting these days. Even a java client would be useful. Or if they really don't want to mess with the complexity of GUIs, let their service use a regular tellnet interface so people could use the GUI of their choice. What is with the marriage of their own in-house GUI yet they don't want to support across the whole spectrum of PCs? What are they getting a check from Microsoft? With games, I understand, it's called DirectX and the larger market share that is Windows. But, something like this? There are way too many other options to cast an even larger net with the same work it was to build their gui in the first place. not load with my w32bit any tricks? 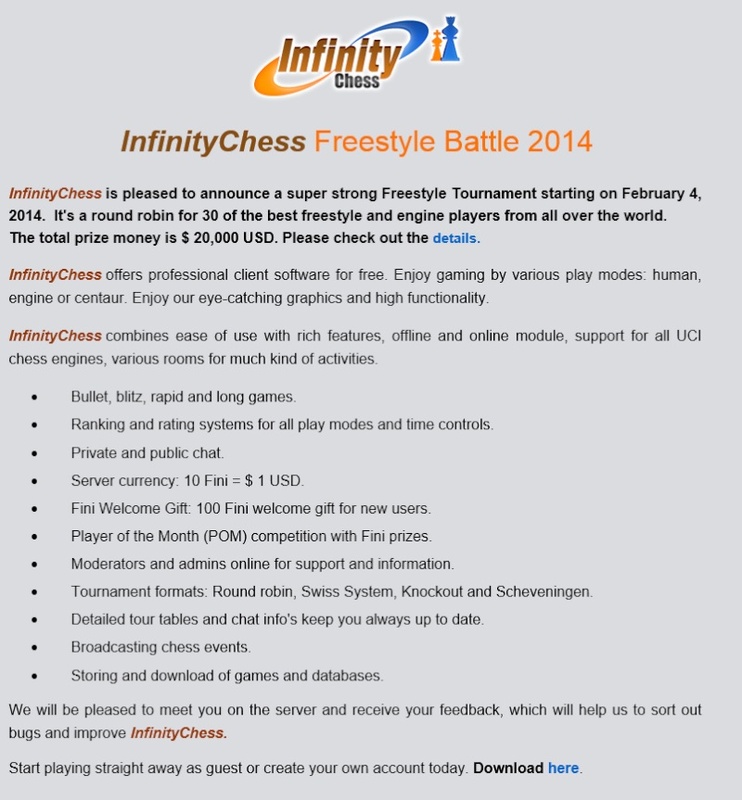 Infinity Chess is pleased to announce a super strong Freestyle Tournament starting on February 4, 2014. It's a round robin for 30 of the best freestyle and engine players from all over the world. The total prize money is $ 20,000 USD. Please come to our http://www.infinitychess.com/and check out the details. Free use of play mode (engine/centaur) for each round. How to download games? Is it possible to take all the games from the tournament? @002jeca wrote: How to download games? Is it possible to take all the games from the tournament? How to download games? How do I download games from the engine room? registered there. 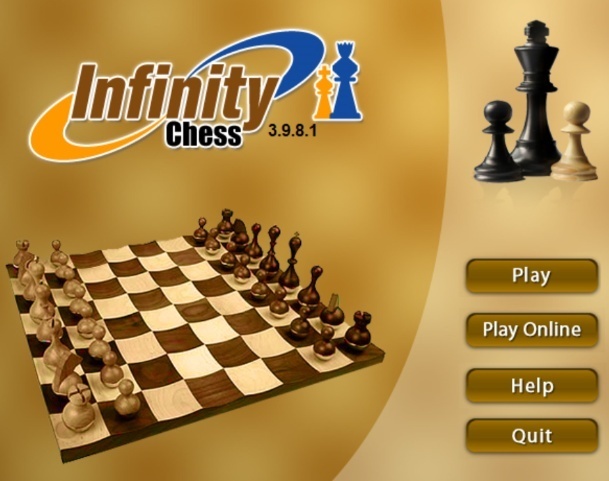 Please manuals for how to download games from the engine room Infinitychess? Thank you. , if I have some manuals to change CTG books? I have a problem when I want to change the CTG book. Does anyone knows and wants to explain which principle is CTG Book Adapter Infinitychess GUI ?What she reads? Do you read the weights? (+125, -125) or green and red move? If no red and green if elected move the majority of games played? @002jeca wrote: Does anyone knows and wants to explain which principle is CTG Book Adapter Infinitychess GUI ?What she reads? Do you read the weights? (+125, -125) or green and red move? If no red and green if elected move the majority of games played? Infinity Chess 4.0.0.3 is out. Infinity Chess 4.0.0.4 is out. use ctg book, convert the games played into pgn format, play auto players/bots there with strong machines (16 cores) that always accept you challenge, good to test book against them. 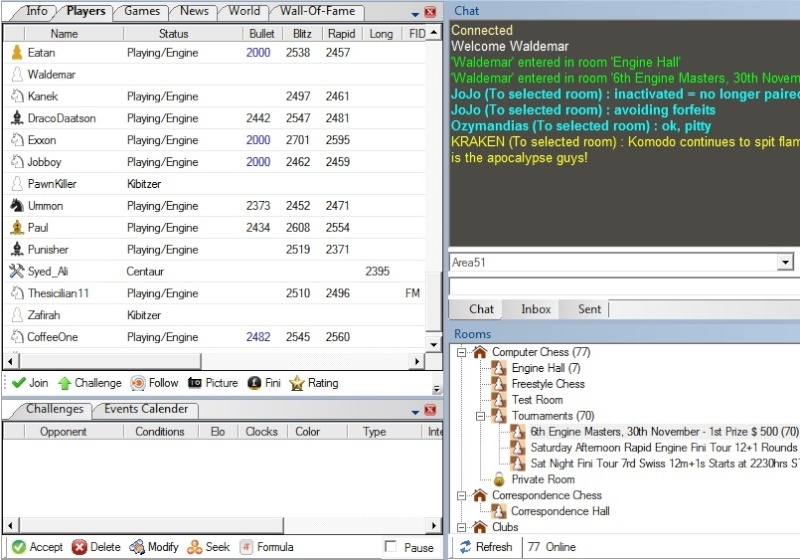 To play you open your program/GUI, go to "Play Online" option, select your ID and password, and when enter, select "Engine Hall", you can see all players there choosing "Players" in the top, then go to "Playing Mode" for you pick your engine and book, as picture shows I picked polyglot.exe with my setting chosen but you can get engine and book separately. You can chat and to offer a challange in lobby you go to "Seek". PS The problem there is 1/0 games, even you being very fast in opening like +20 moves per second, in end game you become slow and can lose by time. PS Autobots there (not autochess players) have all 16cores or 24cores, good to test and improve your book. PS Find me there with "Hya" or "XsupremeX" ids. PS They have tournament with money prize like $200 $500 to winner. PS Can convert your games played in PGN and use in your Fritz. Participation is possible for all who played at least 50 engine tournament games on our server during the last two months before tournament start, which means everybody will be able to play the required number of tournament games even during the registration period from July 15th until July 26th, as InfinityChess is holding daily engine tours, mostly blitz, but also rapid tournaments. For Rules, FAQ and Report on the 1st Engine Masters look up "Tournaments" on our website. PS Must register to download. I dont know, I can use my ctg book there. Good games klasman, thx! I am making a bix book right now.